Mt Airy Community Church (MACC) had its first Sunday worship service on Easter Sunday 2009. 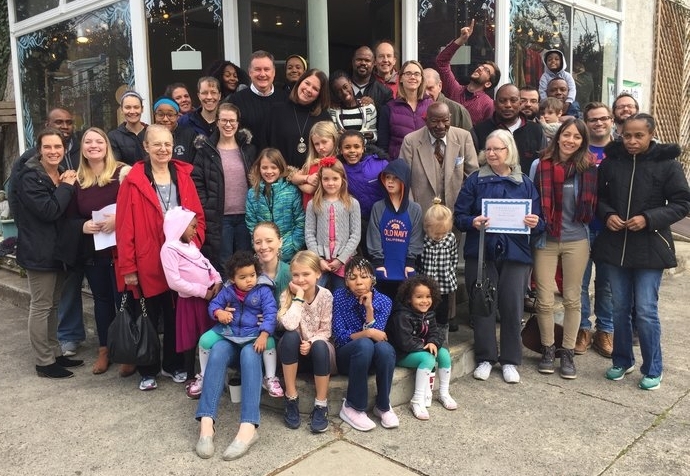 We are one of several church-plants stemming from Spirit and Truth Fellowship, a lively and wonderful church located in the Hunting Park section of North Philadelphia. MACC is a member of the Christian Reformed Church (CRC) denomination. You can read more about the CRC at www.crcna.org. For our first 2 years, we met in the side chapel at Church of the Annunciation in West Mt Airy, right on Lincoln Drive. This gracious church offered us their space for free as our young church got up and running. In summer of 2011 we moved to our current location, the Mt Airy Moving Arts (MAMA) Studio at the corner of Carpenter Ln & Greene St. This location seemed like a good fit since it is considered "the heart of West Mt Airy." We have now grown out of this space and have begun to meet at our new location, Summit Presbyterian Church, just a block down the road from the MAMA Studio. Our first service there was June 10, 2018.